Custom printed champion yoyo will make your brand information confidently stand out. Popular with people of all age groups, these champion yoyos are sure to add some spin to your dull brand logo and make it acceptable to everyone. Don't you think it is time to show to the world that you are already a champion in the niche? Order promotional champion yoyos from Promo4kids.com in bulk to enjoy attractive price benefits and unlimited promotional exposure! We offer fast shipping anywhere within USA. 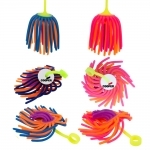 Avail these best seller promotional yoyos at guaranteed low prices. Our prices include online design proof and artwork assistance. Custom printed champion yoyos are indulging toys which are loved by kids and grownups alike. Today, there are many modern games that allow kids and adults to relax and refresh after a hard day. However, many of these technologies have dissociating effects on kids that may later develop in serious behavioral problems. Yoyos are known to be great confidence boosters and kids can develop their free hand skills by playing it with their friends. By playing yo-yo in public, kids can show their light-hearted and playful side and invite others to befriend them and marvel at their tricks. There might be a time when others do pitch in with their own experiences with these toys. Don't forget that with each spin your brand logo and promotional message is getting registered into consciousness of the user as well as to an onlooker. We do understand that personalized champion yoyos cannot change the world but these will have great impact on your customers and your competitors as well. Do you know why? Yoyos are portable, durable and electricity-free. We are sure that parents will admire it when you gift these colorful logo printed yoyos to their kids. Logo printed perfect alternatives to expensive video games that are discarded after few weeks of continuous play. 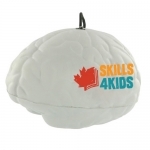 At Promo4kids.com, we offer only the best seller promotional champion yoyos that will make you champion of the next tradeshow or business convention. Customized translucent champion yoyos are our best seller items and they attract with their durable plastic casing and strong twine. Available at attractively low prices, you can order these customized best seller promotional toys in time for your next promotional event. Logo printed champion yoyos are best to bring out the champion in your young customer and in your brand logo. You can gift them during tradeshows, business conventions, kid's events, fundraising charity events, birthdays and several other joyful occasions. To know more about the right method of imprint, distribution and special value prices offered for these custom printed yoyos and other promotional giveaways for kids, feel free to call us at 855-454-3786 or contact us at info@promo4kids.com.